A Thai friend close to the factory has advised this campaign resulted in no exports! So the offer of free dogs was not enough to overcome peoples fear of dealing with someone who shakes your hand and then grabs your arm & won't let go! This message is for everybody who might be interested in owning a Thai Ridgeback Dog. Jack Sterling is the number one breeder of TRD. He is located in Chaing Mai Thailand. After 13 years of breeding, Jack has ended up with too many dogs. He currently has around 50 Thai Ridgeback Dogs that need homes. Jack is running out of money, and is having trouble keeping all the dogs fed. If you are intersted in owning a TRD, or already do, please consider taking a young adult or older puppy from Jack. He has every color of TRD available, aged from 10 months to 3 years. 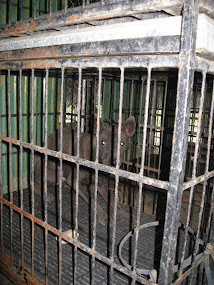 Like I said, he is located in Chaing Mai Thailand, so the dogs must be shipped here to America. 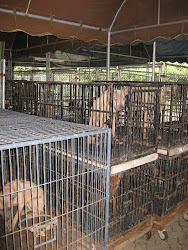 The cost of shipping is about $250, and the price of an airline kennel in Thailand is about $150. So figure it costs about $400 to get a dog to the west coast, a little more to the east coast or midwest. They are pet quality dogs, all are fixed and come with a microchip. All are unique, and many are of the same quality that you would pay $1500-$2000 for here in the US. Jack really needs help finding homes for them. He is 60 years old and is now taking care of 70+ dogs on his own. If you are interested in one (or two), please let me know, or contact Jack directly via email, jacksterlingtrd@gmail.com. 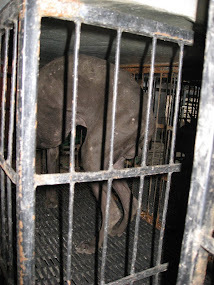 For more information on the dogs, and on the breed in general, go to ThaiDog.com and ThaiRidgebackDog.com. These dogs really need your help. Please consider giving one or two a home. Jack refuses to put any of them down, and will do whatever he has to do to find all good homes. Please tell anyone you know who may be looking for a dog. The TRD is an amazing breed, and Sterling TRD are the best in the world. Don't miss a rare opportunity to own a rare and beautiful TRD, and help out the guy who made the breed what it is today. Thanks for you interest and support !